I feel very lucky to have met interior designer Sandra Espinet last year in New York City as we were both chosen to participate in the Brizo Blogger 19 Fashion Week event. She is lovely and her smile is infectious! Her amazing book features a curated collection of her design talent influenced by her love of travel. 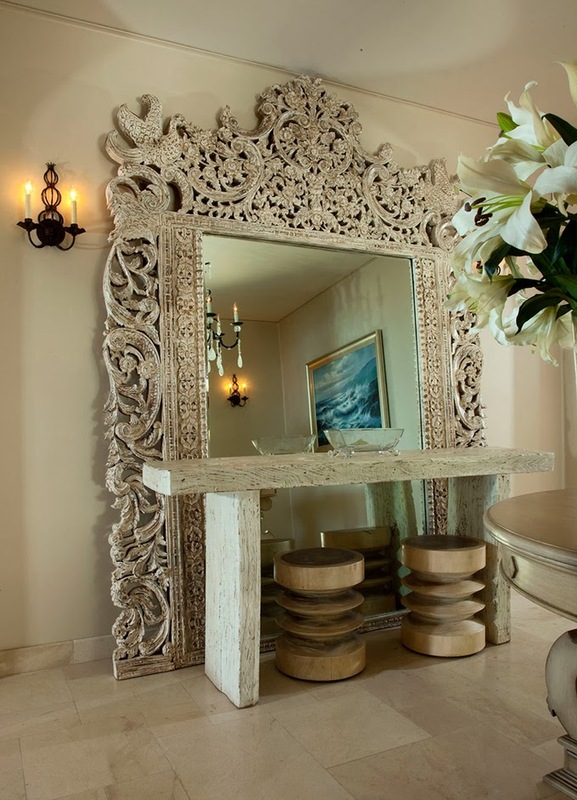 Isn't the above picture of the exotic mirror and console gorgeous? Its just one of many amazing designs featured in her book.....She is hands down an expert at mixing the modern with time-honored pieces. Her family traveled a lot due to her fathers job; so the extensive exposure travelling through Europe, Asia, South America, Northern Africa has had a major influence. I'm sure packing and unpacking a new home each time had something to do with her design expertise. She certainly celebrates global culture and decor that are allowed to speak and live in harmony with one another. From Thai carvings, Middle Eastern chests, to Mexican travertine, the photography in the book is beautiful! 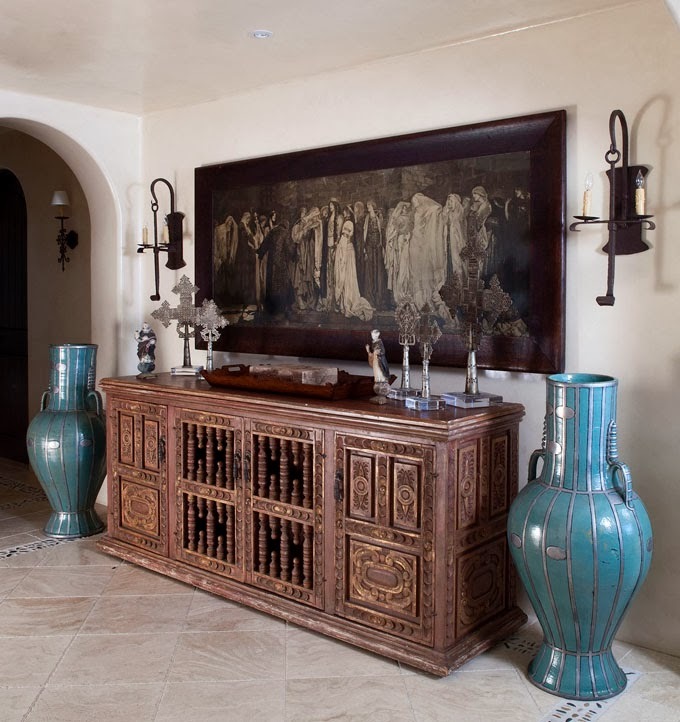 Sandra Espinet says, "Well-traveled homes are living theaters that invite collaboration on a daily basis from any and all inhabitants - beloved families, old friends, new guests...and unexpected guests." 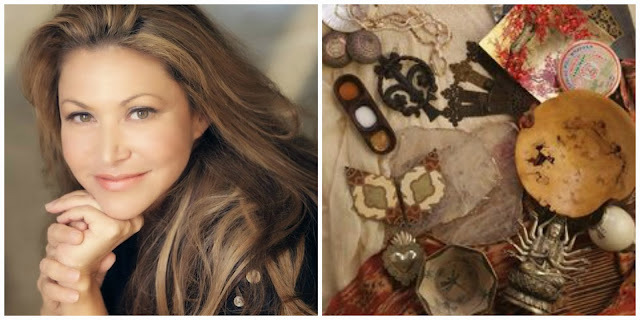 You can learn more about Sandra Espinet and see more of her work on her website and blog: "Life Through The Eyes of a Luxury Designer"